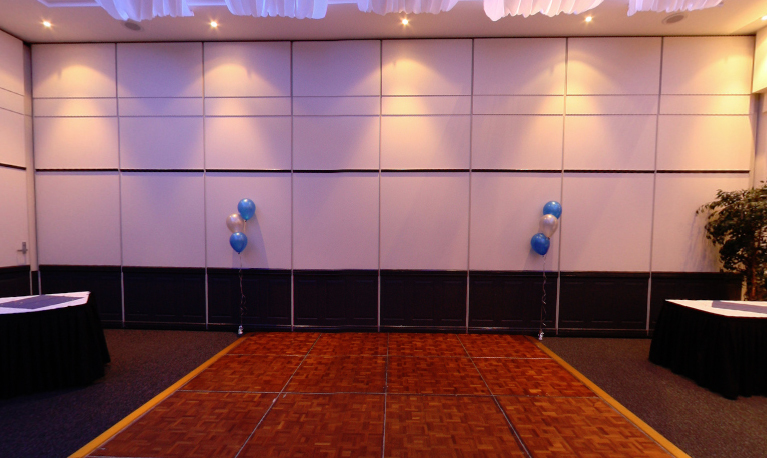 Fitzy's Loganholme is a large venue with family friendly entertainment that caters to customers of all ages. It has a great location next to the Hyperdome Shopping Centre, and only 20 minutes from Brisbane or 40 minutes from the Gold Coast. It has a separate function and convention centre with 3 separate function rooms, and the venue has won many industry awards for its facilities. The Carbrook Room is the smallest function room at Fitzys, catering for 50 seated or 80 cocktail style. The room is very versatile, and can cater for social events like birthdays and private parties, right through to the most elaborate wedding receptions. As a Brisbane wedding reception venue, Fitzys also offers optional use of its Tuscan Courtyard for wedding ceremonies. The courtyard can also be used for pre-event drinks and as a gathering place for family. Within the function room you will find a modern and impressive interior paired with state of the art facilities and all the equipment required for a social event through to the most formal conference or business meeting.